Looking for a Drug Rehab and Alcohol Rehabilitation Program in Indiana? The first step to getting help for a drug or alcohol problem is admitting to yourself that you need it in the first place. The second step is reaching out for that help, which can mean admitting guilt which can be extremely difficult but necessary as part of the healing process. It will feel good when you reach out to friends and family for help or a drug treatment professional in Indiana who can turn these feeling of guilt and shame into remorse and then eventually responsibility and rehabilitation of oneself and one's life. For loved ones who have tried to get someone to rehab who needs it with no success, you too can receive help from drug treatment counselors in Indiana who can help by either speaking directly to the addict or helping loved ones set up a drug intervention. In a single-day count in 2013, 28,288 individuals in Indiana were enrolled in some type of substance use treatment, which was a decrease from 31,721 individuals in 2009. Among treatment clients in Indiana that year, 45.2% were in treatment for drug use only, 16.1% were in treatment for alcohol use only, and 38.7% were in treatment for both drug and alcohol use. The number one drug problem according to treatment admissions in the state is the abuse of heroin and other opiates, with other opiates being prescription pain killers which are abused non-medically. Heroin and other opiates are abused at higher rates than even marijuana in the state when combined into the same category, which they basically are seeing as they have the same effects and addictive properties. However, abuse of amphetamines is also a very serious problem in Indiana and over 10% of admission abuse drugs such as methamphetamine and crystal meth. Poly-drug use involving alcohol and at least one other drug is evidently a very serious issues as well, seeing as nearly 40% of treatment admission struggle with poly-drug abuse. One of the main problems that Indiana residents face in terms of substance abuse is poly-drug abuse involving alcohol. In Indiana, about 382,000 individuals aged 12 or older are dependent on or have abused alcohol within the year prior. Out of the Indiana resident who are alcohol dependent or abusing alcohol, only a very small percentage actually receive treatment, a little over 10% in fact. This is partially due to the fact that alcohol abuse is so common and accepted socially, that an alcohol problem can be explained away for a very long time. Unfortunately, but the time an alcohol problem is evident it has already had devastating consequences. So the key to alcohol treatment in Indiana is early intervention, and raising awareness about the alcohol and poly-drug use problem in the state so that people can get the help they need. Alcohol treatment is far more advanced than it ever has been in the past, and there are many options beyond the traditional 12-step models for example for Indiana residents to choose from. There are around 275 drug rehab programs in the state of Indiana, over 93% of which are outpatient treatment programs. 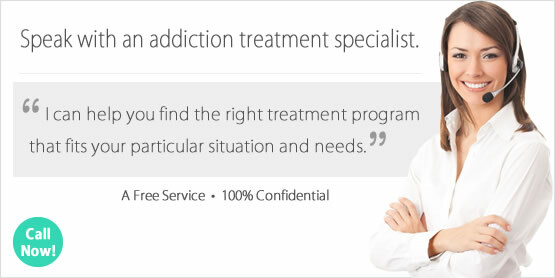 Aside from the regular/intensive outpatient treatment programs which comprise the majority of outpatient treatment offered in the state, there are also 34 day-treatment/partial hospitalization facilities, which can provide more aggressive outpatient treatment for individuals who can't commit to an inpatient or residential program. In addition to the outpatient options, there are also 29 residential non-hospital programs, and 33 hospital inpatient programs. Surely in an effort to provide treatment solutions to the large percentage of opiate addicted clients, there are 20 opiate maintenance facilities in the state which provide either methadone or buprenorphine to the with over 9,300 opiate maintenance clients who are administered prescription opiates daily in these programs to curb cravings and stop withdrawal. An alternative to opiate maintenance treatment is aggressive intervention and treatment in an inpatient or residential treatment facility which can help individuals learn to cope through the challenges of becoming opiate free after struggling with dependence. It can be extremely challenging but it is possible to live opiate free without having to be on a daily opiate maintenance routine that in itself can be burdensome and difficult to maintain both financially and logistically. What does Inpatient Rehab in Indiana Involve? Inpatient and residential non-hospital treatment are both available in Indiana, in either a short term treatment format or long term. Depending on the individual's drug history, long-term treatment in Indiana has shown the highest success rates due to the fact that 30-day treatment is often only enough time to overcome acute challenges to one's abstinence but may not be aggressive enough for someone who has struggled with a chronic long term drug problem. When outpatient treatment has not resulted in ideal outcomes and relapse occurs, inpatient or residential treatment in Indiana is going to be the next step. Clients in inpatient treatment in Indiana can receive individualized treatment plans and have constant oversight and support throughout the treatment process, which would obviously not be possible in an outpatient setting. Treatment activities could include but are not limited to individual and group substance abuse therapy and counseling, cognitive behavioral therapy, holistic treatment, and steps to address a dual-diagnosis if it is determined that the individual needs to address a co-occurring mental health disorder. What does Outpatient Rehab in Indiana Involve? Outpatient treatment is the most widely available treatment option in Indiana, and choices range from one day per week group or individual therapy sessions to daily intensive treatment in a clinic or hospital for individuals who require a robust support system and more personalized treatment plans. This could be the case for someone who is experiencing a co-occurring mental health disorder that needs treatment concurrent to the drug or alcohol problem, or could also be an ideal option for someone who cannot participate in inpatient but is at a high risk of relapse because of a chronic long term drug habit. While there are a number of outpatient programs which provide opiate maintenance services, this is all these facilities provide and they don't typically facilitate any other treatment activities such as counseling or therapy.